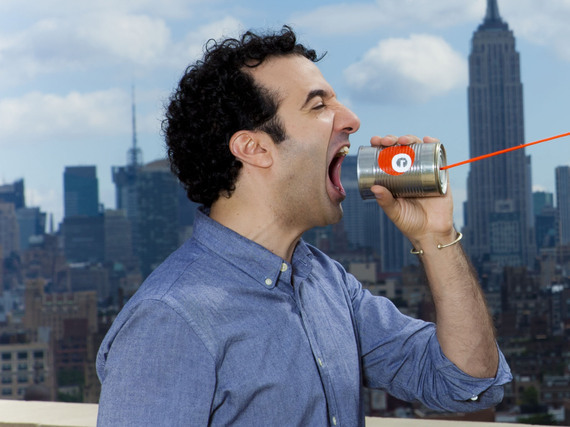 If you are a fan of NPR's Radiolab program, you'll be excited to know that the Guru of Gut Churn, Radiolab host Jad Abumrad, will be appearing Saturday, June 11 at 8 p.m. at The Alden at the McLean Community Center in Fairfax County. If you're not already a Jad fan, I'm about to tell you why you need to become one... fast! 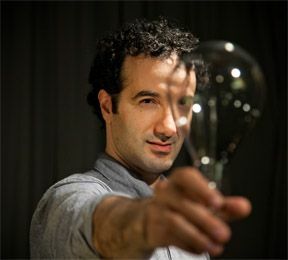 In 2011 Jad was awarded a MacArthur "Genius Grant" (kind of a big deal IMHO) and he is bringing to audiences his multimedia exploration, which on one level, is the personal story of how Jad invented a new aesthetic. On another, it is a clinic in the art of storytelling. On a third and more profound level, it is the result of a three-year investigation into the science, philosophy and art of uncertainty, which all began with the two words that are the title of this talk. "Gut Churn." What can people expect when they go to see your presentation? Do you present segments as you do on Radiolab? Do you take audience questions? For people who are familiar with Radiolab, it's going to feel like the show. It's a very Radiolabby meditation on this idea of discomfort--whether it's a good or bad thing, what kinds of discomfort are useful for creativity, what kinds aren't. It's sort of like a Radiolab deep dive into that idea from all different angles. Writers, Cherokee shamans, musicians, and psychotherapists are all woven into the presentation, layered with a lot of visuals and animation. Overall, the presentation is really the story of Radiolab and how it came to be. I will also be taking questions from the audience. What do you hope people take away from the evening? In terms of what people take away, I hope that they are entertained and interested. I hope it's fun to listen to. I hope maybe people take away this idea that emotional chaos in the center of their creative lives (or just in their lives in general) is maybe good and maybe an indication of an arrow pointing at which way to go rather than which way not to go. Some of your segments, including one on the Supreme Court, deal with issues and establishments very near and dear to the Washington, D.C., area. Any thoughts that your McLean audience could include those you have told stories about in recent programs? Does that make you nervous at all? Though I won't be specifically talking about the More Perfect podcast, it's definitely what I've been thinking about the last few weeks, so I'm happy to take questions on it, and I may even include an anecdote or 2 in my talk. Does it make me nervous? Everything makes me nervous. OK, just curious...what did you do with the "Genius" prize money? We know you are free to do whatever you want with it...no reporting required! I put it into my kids' education. Also, I built a very small soundproof studio in my house so that I can work on the show and be closer to my family.